& from Wales / Cymru including Gorse Covert. 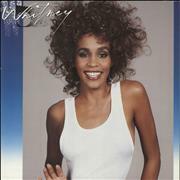 Whitney' eponymous debut album was released in 1985 and went on to sell over 13-million copies, making it the best-selling debut ever by a female artist. Her next album also hit the top spot and had four number singles on it. 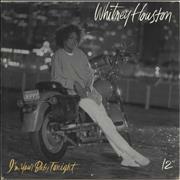 Her sound changed slightly to a more urban R&B sound for her third release 'I'm Your Baby Tonight', in 1990. Although it was another good seller it lacked the consistency and strength of her previous efforts. 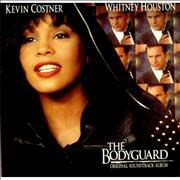 Whitney began focusing more on her acting career and her first features, 'The Bodyguard' and 'Waiting to Exhale' performed well at the box office and helped the soundtrack albums sell millions around the world and her cover of the Dolly Parton classic 'I Will Always Love You' became nothing less than the biggest hit single in rock history.. 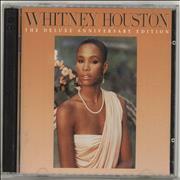 In 1998, Whitney finally issued her first new album in nearly a decade, and although it sold poorly the reviews were her most positve for some time. 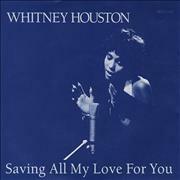 In 2000, she released the two-disc 'Greatest Hits' collection, which reminded the world that on her day Whitney Houston is unrivalled. 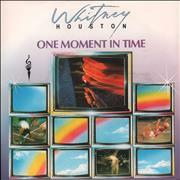 The following year a collection of love songs was issued as a stop gap until the next album. It may have been a number of years without a big hit but her status as one of music greats has never diminished. 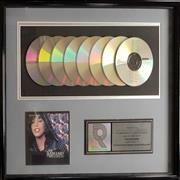 With a fantastic selection of music to choose from, there is no shortage of back catalogue rarities, amazing memorabilia and quality collectibles, all available right here in our specialist Whitney Houston collectors store.